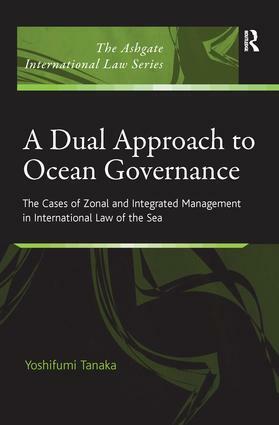 Taking the North-East Atlantic Ocean as an example of regional practice, this book addresses the dual approach to ocean governance in international law. It examines the interaction between zonal and integrated management approaches and the conservation of marine living resources and marine biological diversity. The study examines the limitations of the traditional zonal approach and suggests new possibilities for conformity between sovereign states, international law and sustainable development. Contents: A new perspective on ocean governance; Part I The Dual Approach to Conservation of Marine Living Sources: Limits of the zonal management approach to conservation of marine living resources; The quest for an integrated management approach to the conservation of marine living resources. Part II The Dual Approach to Conservation of Marine Biological Diversity: Conservation of marine biological diversity in international law: a general appraisal; Marine protected areas in conservation of marine biological diversity; in search of an integrated management approach. Part III Marine Scientific Research as a Foundation of Ocean Governance: The obligation to co-operate in marine scientific research and conservation of marine living resources and biological diversity; General conclusion; Selected Bibliography; Index. Yoshifumi Tanaka is Assistant Professor at University of Copenhagen Faculty of Law, Denmark.